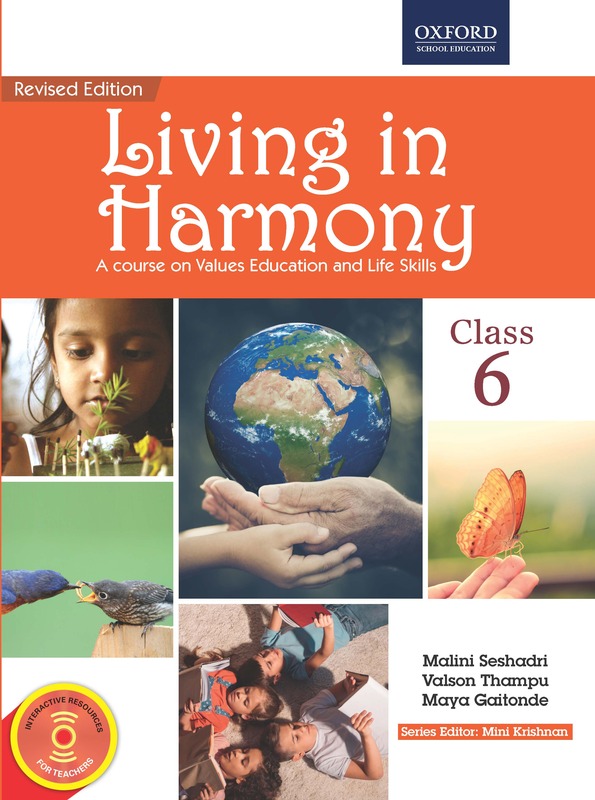 New Delhi: Oxford University Press, the world’s largest university press, has just released the revised edition of the ‘Living in Harmony’ series, its well-known course on Values Education and Life Skills for schools. The updated edition has expanded its range to now include books for classes 9 and 10 from the earlier programme of books for Classes 1 to 8, including lesson plans and free teacher’s manuals in the revised course. The ‘Living in Harmony’ series addresses the need for value education expressed in the National Curriculum Framework. It aims to help the young learners recognize their responsibilities towards their environment and to instill in them the values that are vital to a meaningful and socially productive life. Our team of six authors have also developed lessons on Gender Sensitivity from classes 1-10 and emphasized Safety for young children. In the higher classes, the series includes sensitive topics, such as sexuality, tensions between social groups, poverty, the two sides of technology, social inequality etc. Each book has a list of 84 values incorporated through stories from history, folk tales, fables, real-life events and world literature. Laying the foundation for a peaceful world is one of the greatest needs as well as a challenge of our times – this series is therefore extremely relevant in that context. The book series has been creatively compiled by incorporating examples from current issues and by including activity based exercises at the end of each chapter. The books in the series also showcase the rich cultural heritage of India with chapters dedicated to traditional music, arts and dance forms. · Peace and value-based stories that lead to discussions and insights that are explained further. · Experiential activities that help children improve their cognitive and social skills as they are engaged in analysing events and creating solutions. · Teacher’s notes- Available at the end of each book with lesson plans and topics for classroom interaction. · Wellness pages to combine both emotions and rational thinking.